For anointing/blessing the sick and many other Christian purposes. Golden oil is pressed from the choice selected fruit of the olive tree. 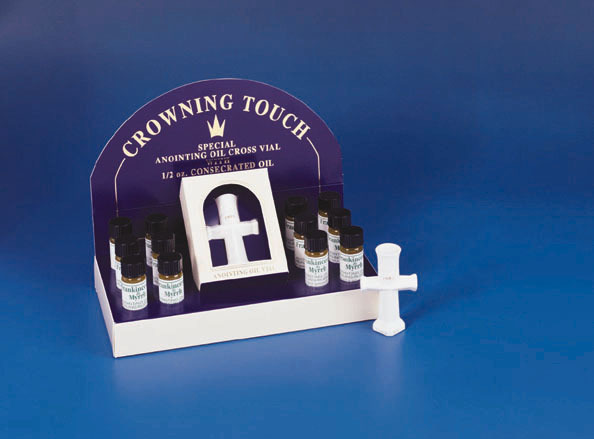 The product is procured by import and is then master-blended together in exact proportion with God's loveliest most incredible fragrances on earth - to be used by His children for the express purpose of anointing and blessing. Personal Cross Vial holds approximately 1/2 oz. and is 3" tall.